Washington’s Birthday, also known as Presidents’ Day, is a federal holiday held on the third Monday of February. The day honors presidents of the United States, including George Washington, the USA’s first president. Washington’s Birthday officially honors the life and work of George Washington, the first president of the United States. The day honors past presidents of the USA. The US federal holiday is on the third Monday of February each year, but records show that George Washington’s birthday is on February 22. Public Life: – Many businesses are open as usual and many stores hold sales especially on Washington’s Birthday. Many delivery services, except for the Post Office, have a regular service and many, but not all, public transit systems operate on regular schedules. Some schools close for the whole week for a midwinter recess. •	In Alexandria, Virginia, Washington’s Birthday is celebrated for an entire month. There are special activities planned in and around Mount Vernon, Washington’s former residence. •	In Denver, Colorado, an entire society has been formed in order to celebrate this day. •	In a small city in Florida, there is a festival which has been observed for over 100 years, known as George Fest. There are countless activities including a look-a-like contest. Additionally, several Washington artifacts travel down for the annual event. Take advantage of the long President’s Day weekend and travel to your favorite destination with Travelation’s exclusive President’s Day deals. 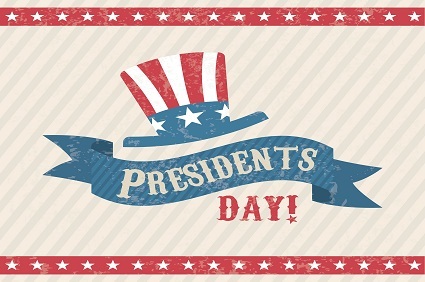 Check out all discounted President’s Day travel deals here: http://www.travelation.com/PresidentDay also you can call us toll free number @877-247-7183 and get extra benefits on ticket booking.